ASTANA -- In recent, ambitious nationwide exercises, Kazakhstani troops practised destroying a terrorist group. "Paratroopers and Air Defence Force divisions were scrambled" for the exercise, the Defence Ministry said in a statement describing the November 7-11 training. The ministry mobilised about 5,000 troops, 500 vehicles, and 20 aircraft for the exercise. The exercise began November 7 without warning. Commanders sent troops to the hypothetical crisis zone. "On Monday ... an alarm sounded unexpectedly," army Lieut. Murat Rakhimov posted on his social media page. "[We carried] out our tasks under conditions similar to combat ... We had to be prepared for rapid action." Over the next few days, the drama unfolded, with paratroopers and reconnaissance units using helicopters to reach the hypothetical terrorists' zone. Other units -- artillerymen, engineers and anti-chemical warfare and anti-radiation personnel -- also appeared at training centres in Almaty and Zhambyl provinces during the exercise. On November 9, troops set up field headquarters to plan the showdown and practised techniques like encrypting information on the location of them and their equipment. "Such exercises let troops hone practical skills and gain psychological preparation," army Capt. Almaz Ryspanov of Almaty Province told Caravanserai. 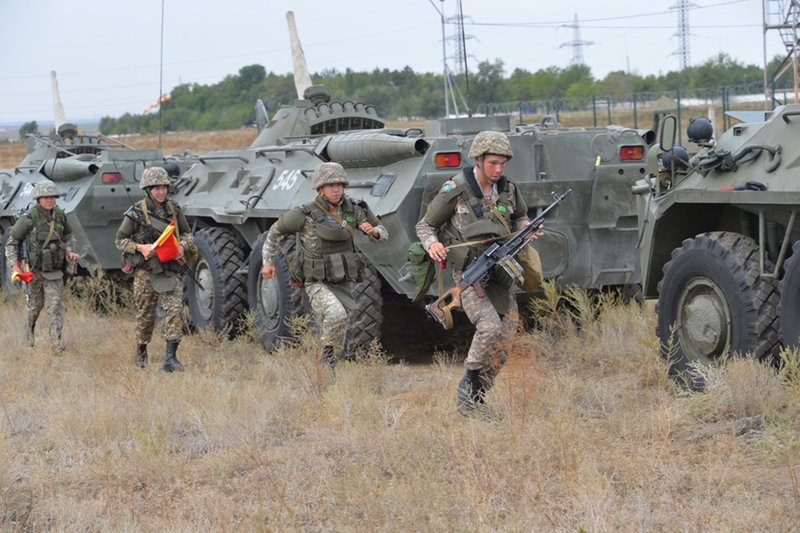 "Today the Kazakhstani army is more combat ready than ever before." Defence Minister Gen.-Col. Saken Zhasuzakov flew over the hypothetical crisis zone November 10 and heard an assessment of the situation. On November 11, the "battle" came. To make resolution more complex, exercise planners had the terrorists, who numbered about 100, take hostages and retreat to a mountainous gorge. Resolution of the crisis required negotiations, another skill that the military wishes to cultivate. "These exercises were unique because the terrorists were not quickly eliminated," Shymkent-based Valentin Markov, a military instructor who participated, told Caravanserai. "After ... evaluating the situation, we made the absolutely correct decision to negotiate and take follow-up actions." Meanwhile, Defence Ministry special forces were busy with their own training. Their exercises took place at the Vostok (East) command centre in Semey/Semipalatinsk, East Kazakhstan Province, November 1-3. 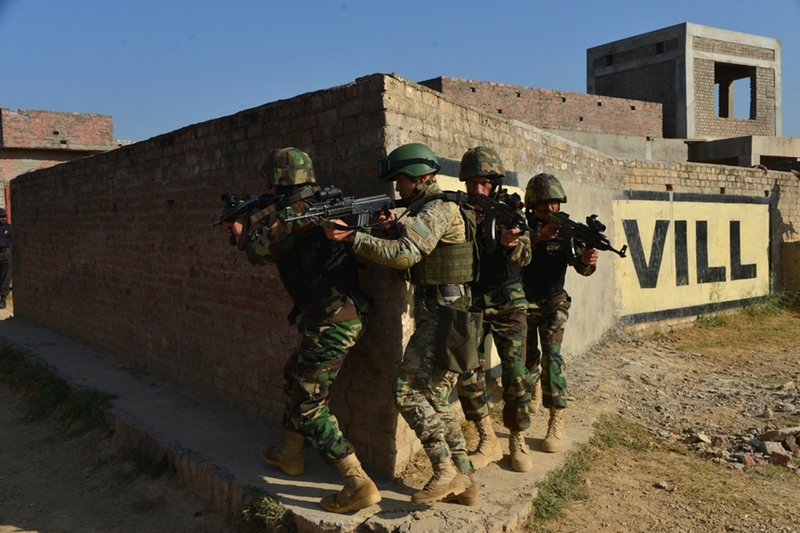 In that shorter drill, the special forces found a hypothetical militant training camp and wiped out the militants' weapon stockpile. In a shoot-out, the troops eliminated some of the "militants". Others barricaded themselves in an abandoned building but "perished" in a final shoot-out. 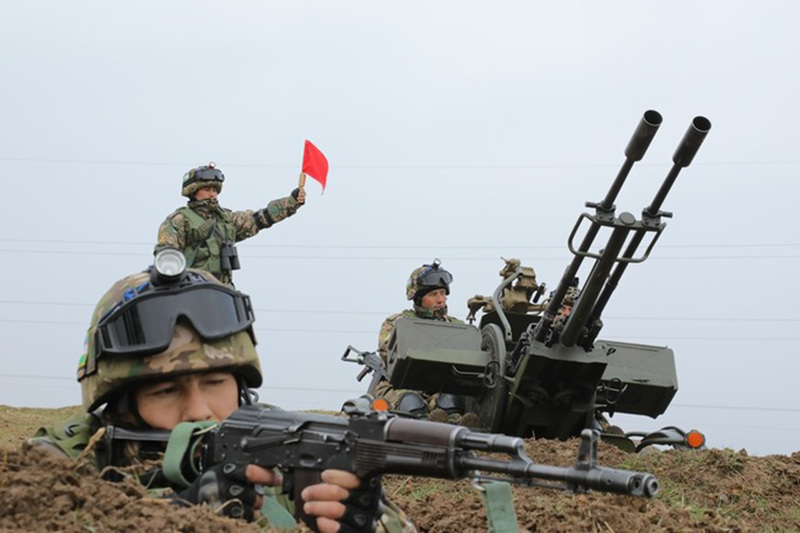 "This exercise enabled us to prepare military departments to complete practical tasks," army Lt. Col. Serik Ramazanov said afterward, according to the Ekspress K newspaper. The troops gained "strong morale and psychological qualities" from the training, he added. Counter-terrorism in Kazakhstan involves contributions from many parts of society, Oleg Dorunov of Zhambyl Province, an official in the Zhambyl-based anti-extremism NGO Harmony, told Caravanserai. "The country has stepped up [anti-extremism] work by severalfold in the past two years," he said, attributing the focus "to a spate of terror attacks". The work includes "dozens of arrests", "outreach to diverse target groups" and "counter-terrorism exercises that draw on police, troops and rescue personnel", he said, noting that such exercises go on nationwide "practically every week". "Kazakhstan has been rather successful" in thwarting terrorist attacks by outfits like the "Islamic State of Iraq and the Levant" (ISIL), Boris Rakimov, a political scientist and director of the Turkestan-based think tank Saraptama jane BAK (Analysis and the Mass Media), told Caravanserai, citing a number of instances when police "captured terrorists steps away from [planned attack sites] with city maps, bomb components and weapons in hand". Counter-terrorism exercises impart skills to security personnel, "function as a deterrent ... and warn the public that they must prepare for the threat", he added. About 10,000 troops in two provinces and along the Caspian practiced how to take on a terrorist outfit. Kazakhstan participated in the 'Friendship 2017' international counter-terrorism exercises in Pakistan that ended this week.